The ex-governor is going to fight against old political classes. 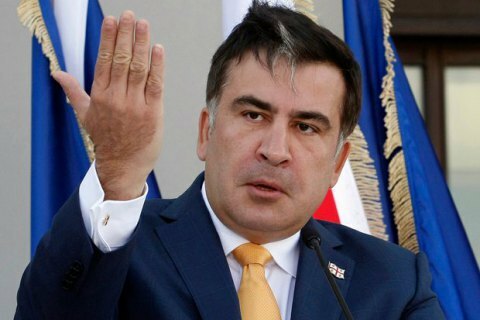 Mikheil Saakashvili, a former governor of Ukraine's Odesa Region and former Georgian president, is going to confront the old political system. He said this on the air of Sonya Koshkina's Left Bank TV show. He explained that his fight would target not the president but the old political classes headed by Petro Poroshenko. "I have no capital, I have no political force yet. But I am convinced that Ukrainians do not want to live the old way, they want a change. It would very irresponsible not to help them," he said. His short-term plan includes three steps. "First, we will create a political force which will work to bring an early election to parliament. We will travel the regions and find new people. Second, we will find the leaders of reforms in specific sectors. Third, we will mobilize people," he added.